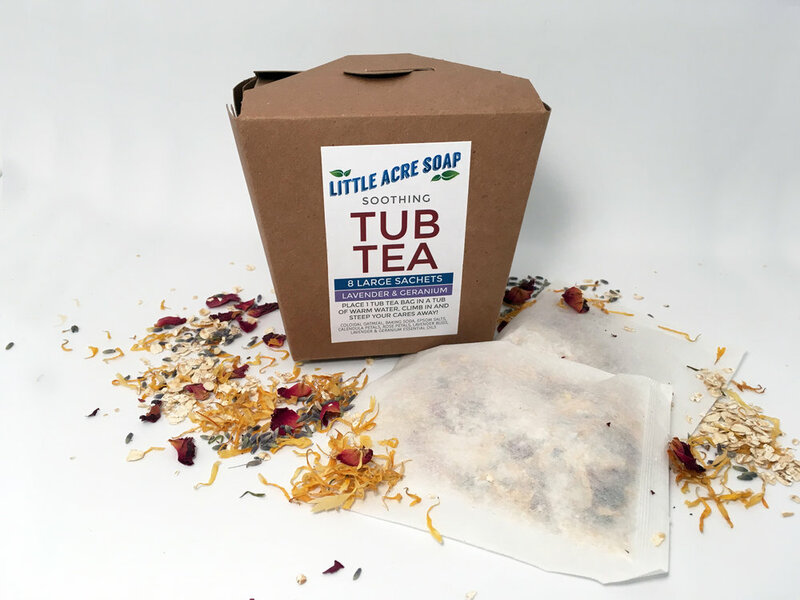 Little Acre Soap's luxurious & moisturizing bars are 100% natural, made with quality vegan oils, scented with pure essential oils, and coloured using natural elements like herb-infused oils and clays from around the world. Our generously-sized bars are pleasure to look at as well as use! 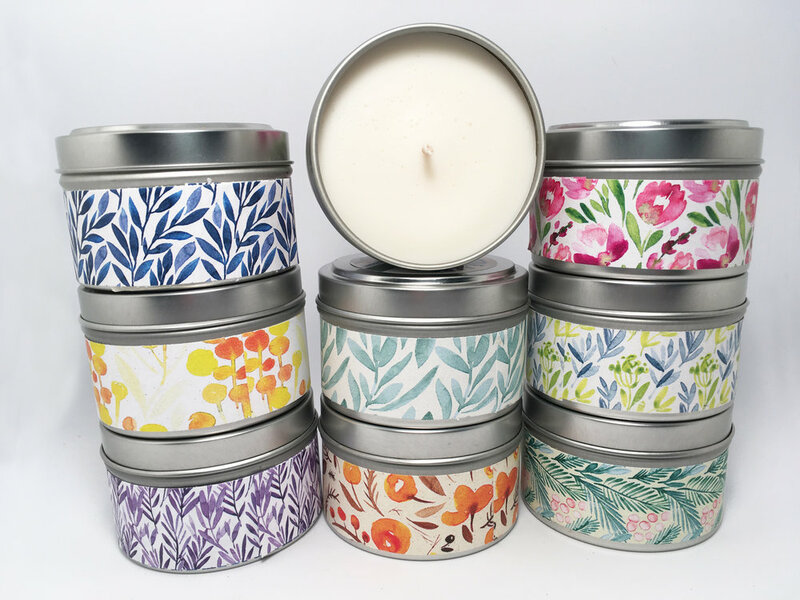 ARBUTUS A bright and earthy blend of Cedarwood, Peppermint, Rosemary and Lemongrass. Naturally coloured with powdered spinach and annatto seed. Activated charcoal creates the dark centre strip and adds deep cleansing properties. Looks great, smells better! LEMON POPPYSEED A bright, cheery bar with the addition of poppyseed for exfoliation benefits. Wonderfully refreshing scent helps you get that day underway! Lemongrass essential oil has antiseptic and astringent properties help achieve even and glowing skin. LICORICE The great aroma of your favourite candy, created with a combination of Fennel and Eucalyptus essential oils. 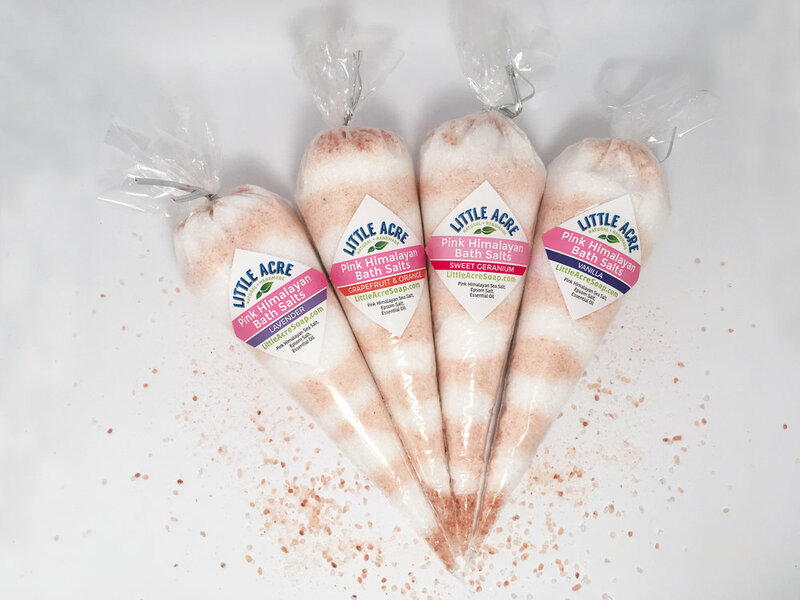 A top seller at Little Acre Soap. 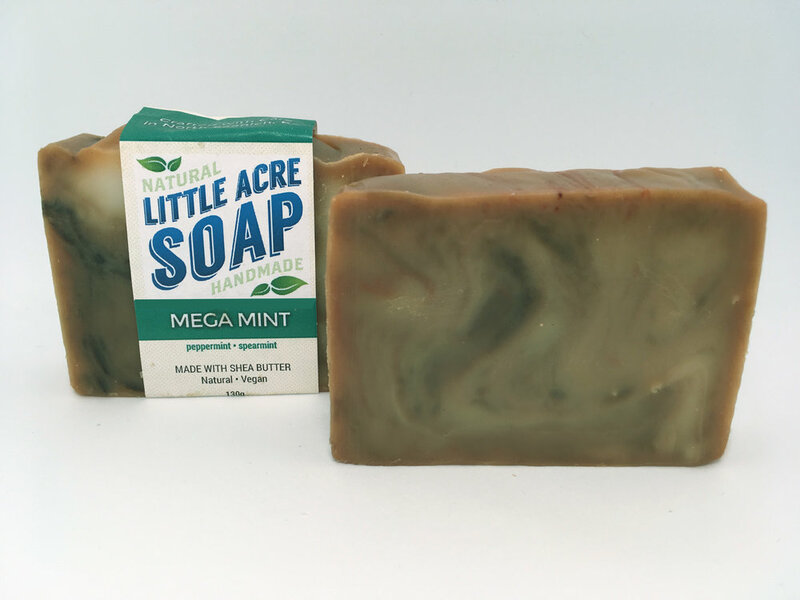 MEGA MINT A bright and refreshing blend of Peppermint and Spearmint. Wake up and smell the soap! Let's get this day started! 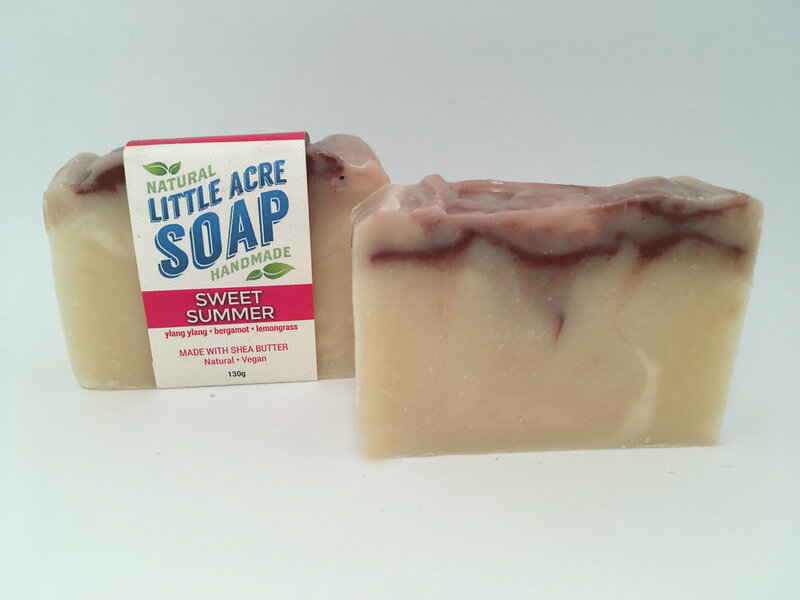 NEW DAY A fresh and gentle blend of citrus oils, this perky soap is the newest member of the Little Acre family and has already proven to be a big hit! Happy scents from Pink Grapefruit, Sweet Orange, Lemongrass and Lime help get your day started in the right direction, without being too bossy and in-your-face. Good morning! PINK HIMALAYAN SEA SALT BAR A truly special soap, 50% of this bar's ingredients is Pink Himalayan Sea Salt. 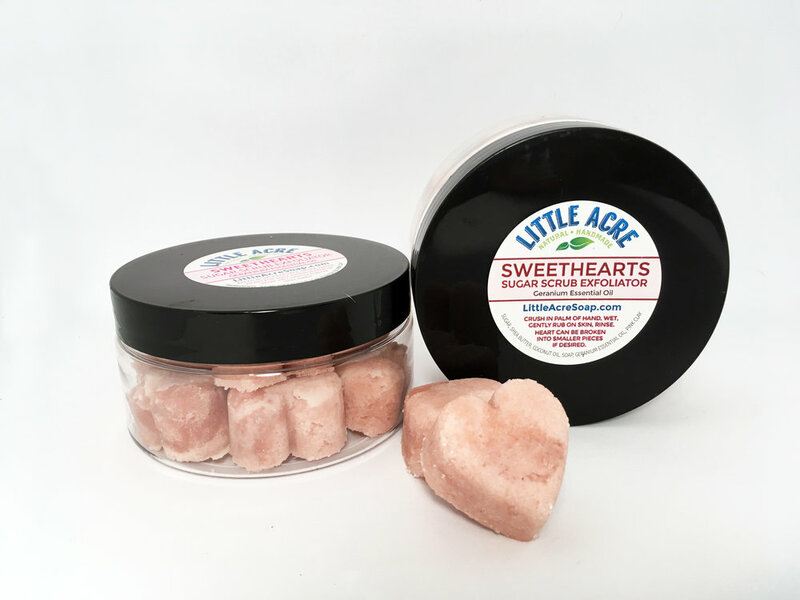 Sourced from an ancient sea bed that now lies deep beneath the Himalayas, this salt is rich in minerals and holds great benefits for you skin. 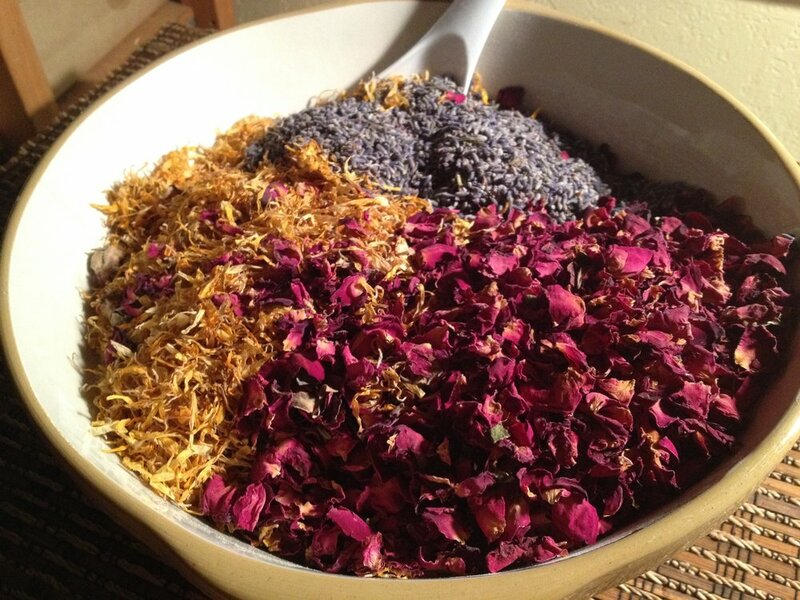 Soothing and exfoliating, it will help to balance your skin's pH and helps hold in moisture. The more you work this bar the thicker and richer the lather becomes, giving a rich a luxurious bathing experience. 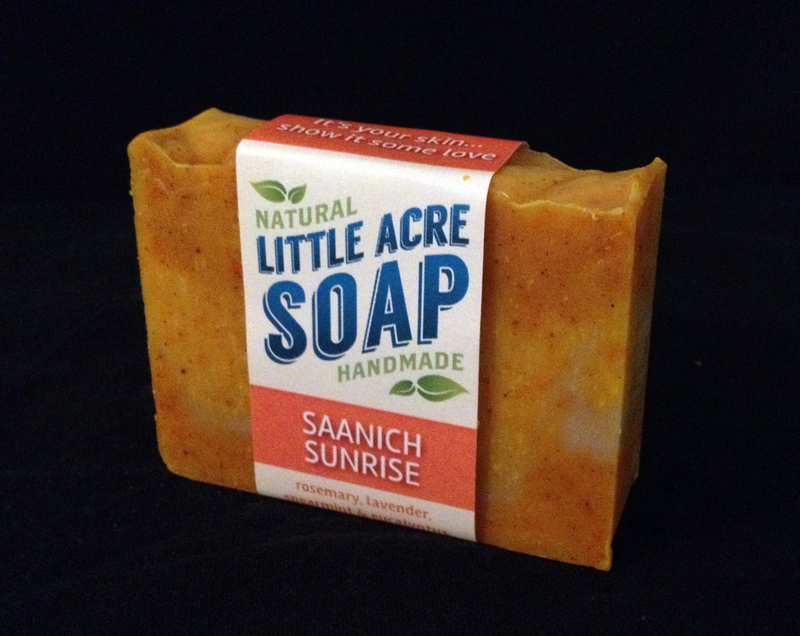 SAANICH SUNRISE Enticing scent combination of Rosemary, Lemongrass, Eucalyptus and Lavender - like a fresh light breeze on a spring morning. 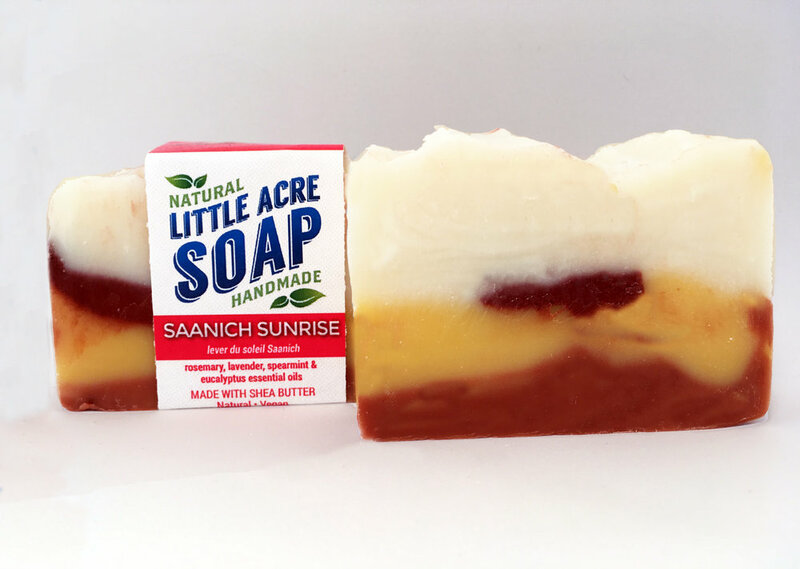 This bar looks like the sunrises we early birds watch from the Little Acre soapworks in North Saanich. Perennially popular! SEASIDE Scented with a complex mix of Sweet Orange, Lavender, Rosemary, Cedarwood and Bergamot. Coloured with a blue clay sourced in Siberia and a red clay from Australia. The clear, bright scent of this picturesque bar has made it very popular. 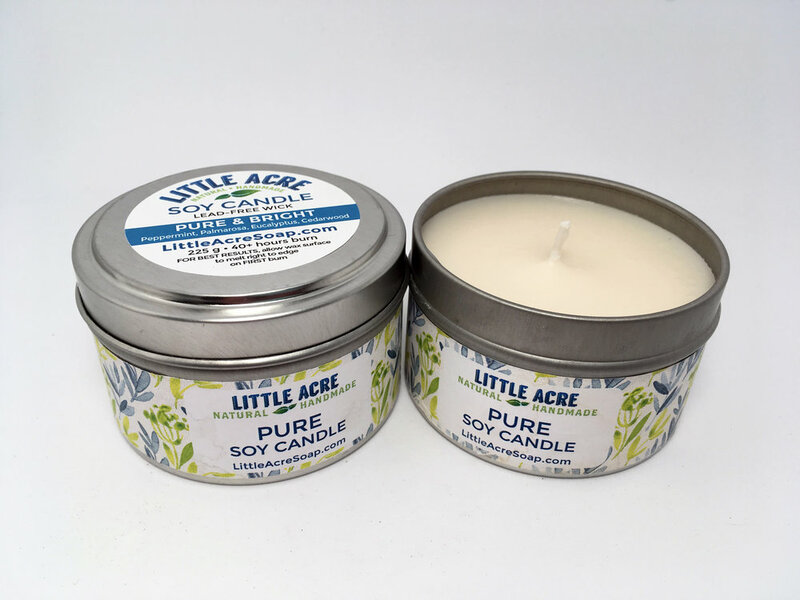 FOREST An enchanting blend of West coast forest scents: Cedarwood, Juniper Berries, and Pine, with Bergamot to help them all sing in harmony. Refreshing scent. SPRING BREEZE Lovely, fresh scent of blossoms on a spring breeze. Geranium and Lavender carry the high notes while Patchouli adds harmony. Soothing for skin and mind. SWEET SUMMER Filled with the intoxicating scent of tropical flowers, Ylang Ylang is a great oil to use with combination skin. Bergamot helps to balance your skin, and Lemongrass is a natural astringent. A beautiful soap! 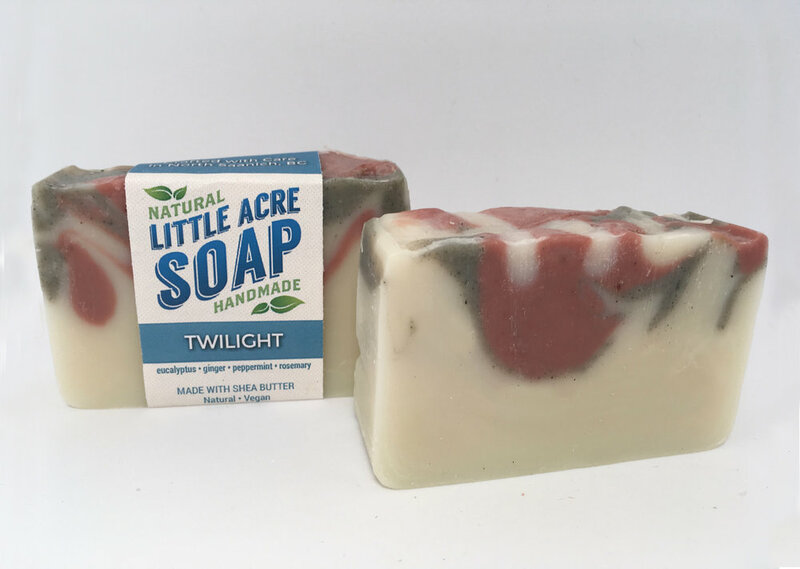 TWILIGHT A popular soap that's hard to keep in stock! Eucalyptus, Ginger, Peppermint and Rosemary oils combine to produce an intoxicating blended scent. Ginger soothes redness, inhibits the signs of skin damage and aging, and restores color and radiance to a dull complexion. OATS & ALMONDS Soothe your skin with the added benefits of skin-soothing oats and almonds. Use with a washcloth or by working between your hands and then spreading the lather for extra sensitive skin, or rub the textured bar directly against your skin to exfoliate. 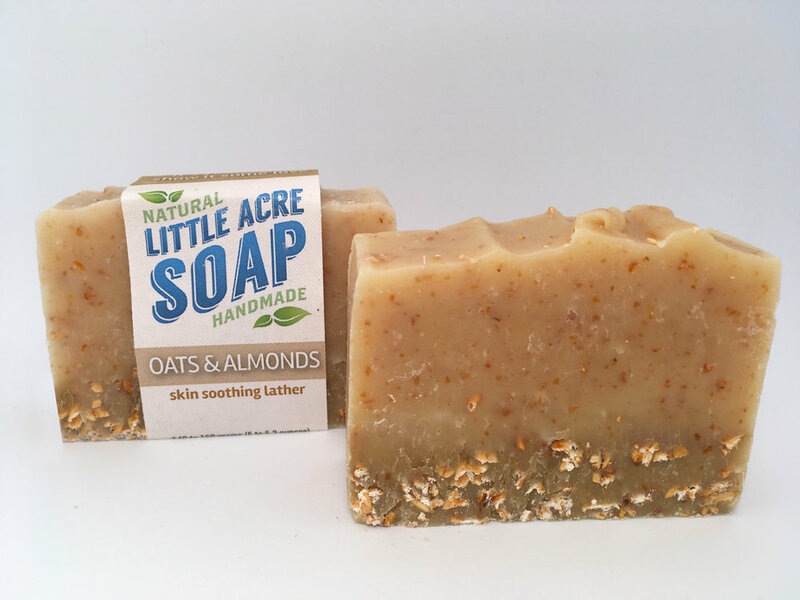 UNSCENTED There are absolutely NO added scents or colourants added to this bar - just quality, skin nourishing olive, avocado, coconut, and castor oils with a generous helping of organic shea butter. PATCHOULI & CLARY SAGE A classic scent used in skin care for centuries, Patchouli has a warm, musky scent, and can calm skin irritations like dryness, eczema, or acne. Inhaling the blended aroma of Patchouli and Clary Sage can also be very calming and grounding. EUCALYPTUS & TEA TREE Sweet, woodsy scent. 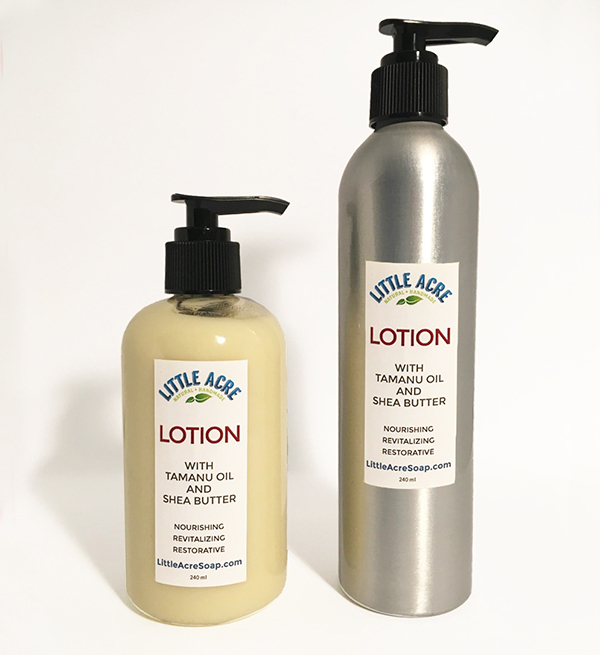 Eucalyptus and Tea Tree oils offer anti-inflammatory benefits and have anti-bacterial properties. 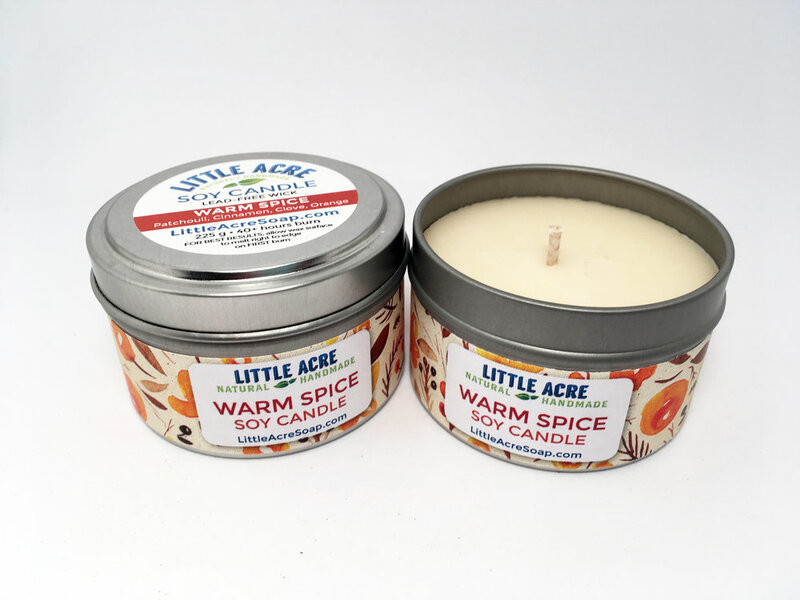 ORANGE SPICE A wonderful combination of bright, refreshing Sweet Orange and warm, cozy Cinnamon! ROSEMARY PEPPERMINT A popular scent combination! 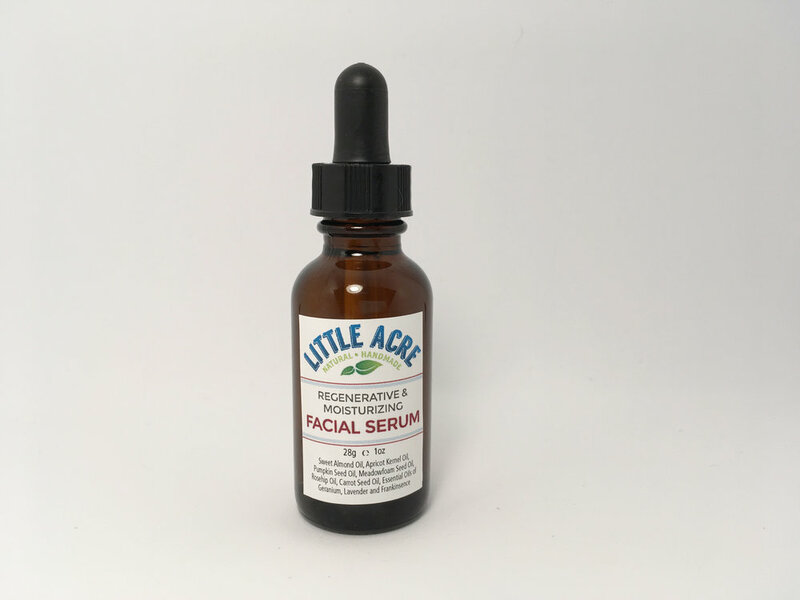 Rosemary essential oil can help protect the skin against sun damage and free radicals. Peppermint aids in your skin's oil secretion which can prevent acne, and leaves a fresh, cooling sensation. RED CLAY Made with a natural cosmetic clay from Australia, this Red Clay bar will gently pull more deeply embedded dirt, oil, make up, and pollutants from your pores, without stripping your natural balance. 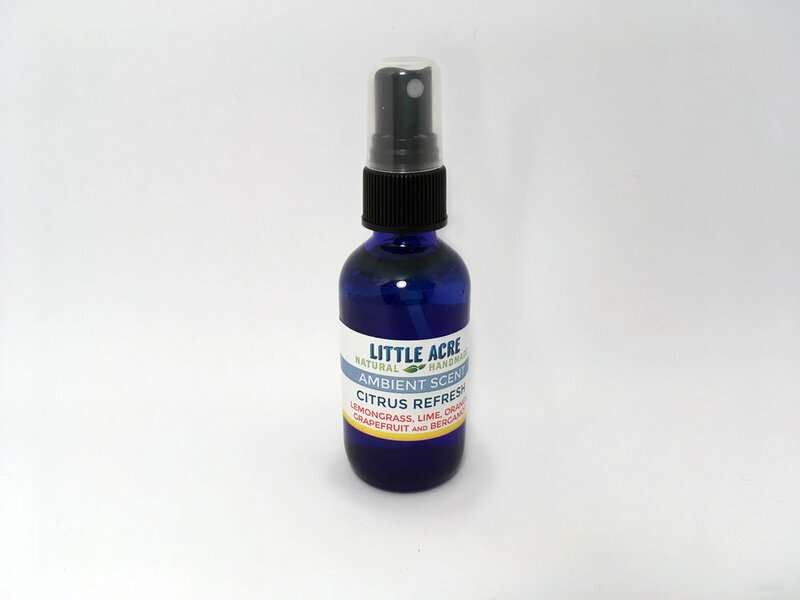 Used since the days of ancient Egypt to promote beautiful and radiant skin, Geranium essential oil teams up with Sweet Orange to to provide anti-inflammatory and acne-fighting properties along with a gentle, sweet scent. GREEN CLAY SPA BAR A simple-looking bar that packs a complex cleaning punch. French Green Clay draws dirt and impurities from deep within your skin while Shea Butter moisturizes. Leaves you squeaky clean without stripping your natural oils. Rosemary, Lemongrass and Peppermint essential oils are all beneficial skin oils and aid in protecting, balancing and refreshing your skin. SHAMPOO BAR Moisturizing and nourishing, this bar works up a nice rich lather that gently cleans your hair while repairing your scalp. Rinses out easily, too! A great travelling alternative to liquid shampoo, and saves on all those plastic bottles, as well! GRIME-B-GONE Calling all dirty people! This bar is packed with ground pumice stone to help chase away deeply embedded dirt and grime. 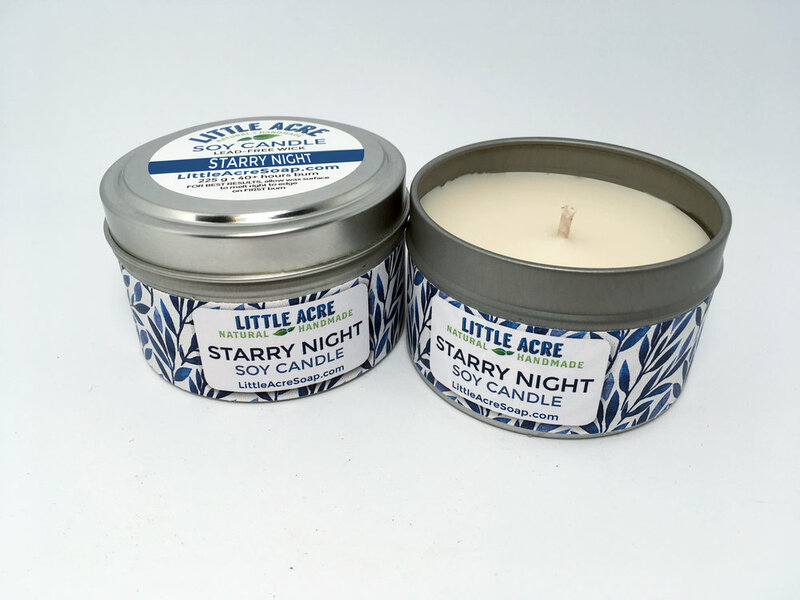 Pleasantly scented with Eucalyptus and Peppermint, which can also help heal small knicks and cuts. "It's Your Skin...Show it some love!" No Orangutans were harmed in the making of this soap! Most soaps contain PALM OIL. Large areas of Orangutan habitat have been destroyed to plant Palm orchards, further threatening the survival of this endangered ape species. 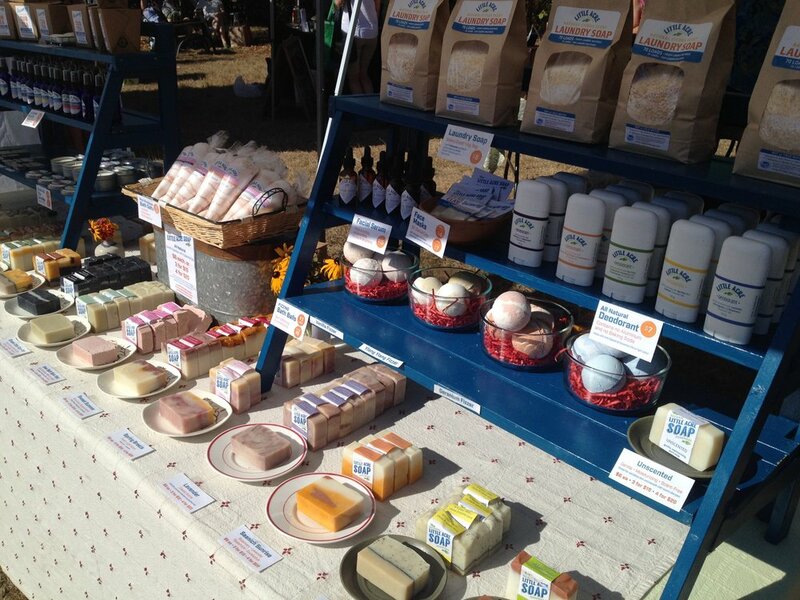 Little Acre Soap uses NO PALM PRODUCTS in the production of any of their products! Lightly scented with pure essential oils. Great, rich lather that leaves your skin feeling soft and moisturized. It's your skin...show it some love! Help your soap live a long and useful life: keep it dry between uses. 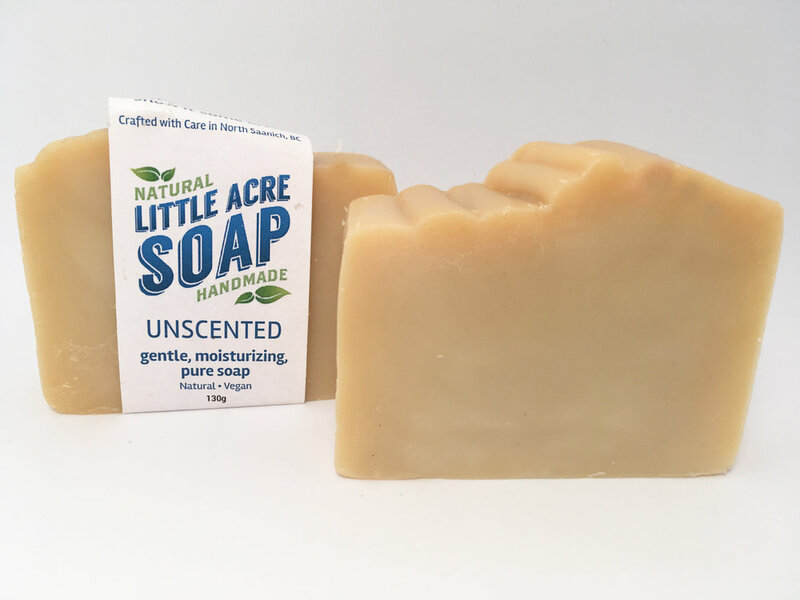 All of our soaps are VEGAN. FREE DELIVERY on the Saanich Peninsula. Call, text or email to place your order. FREE DELIVERY on the SAANICH PENINSULA!